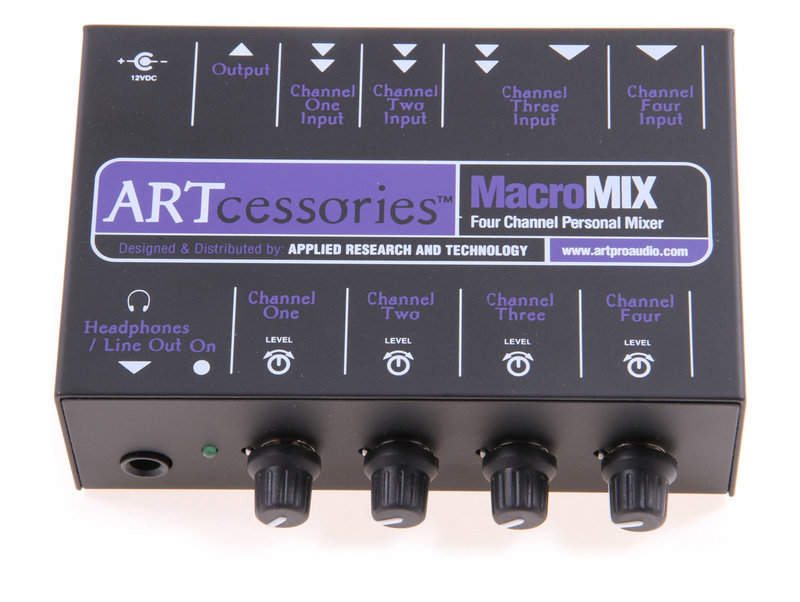 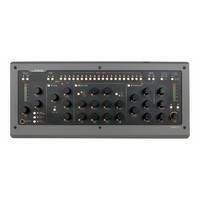 The MacroMix is a device that allows for mixing up to 4 separate input signals. 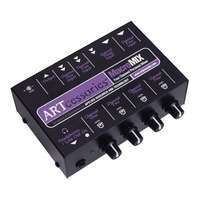 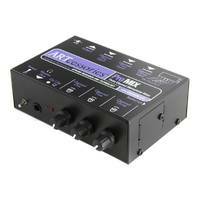 Use this mini mixer from ART for all kinds of situations in the studio, such as solving level mismatches, sub-mixing of instruments, cable testing, or turntables. 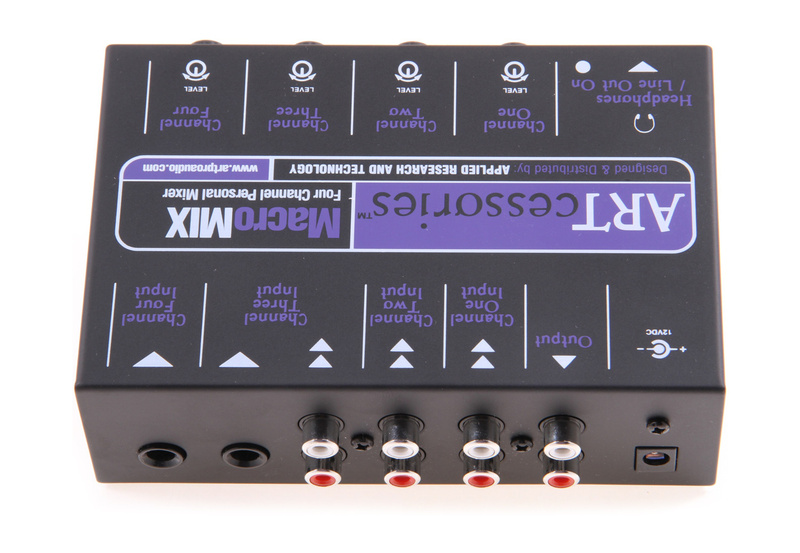 The MacroMix is a device that gives you 4 channels with level controls, a variety of input types, and active mixing circuitry. 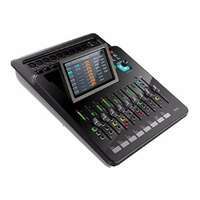 Close in appearance and function to the ART-ProMix, it's ideal for combining multiple audio sources such as DJ Mixers, DVD or CD players, computers and keyboards. 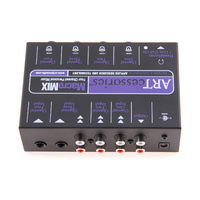 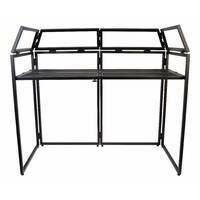 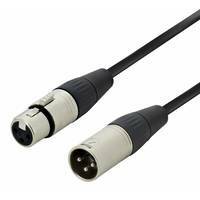 This unit is designed primarily for audio devices that have RCA / phono outputs, but can also accept 1/4" jack inputs for instruments that have line outputs. 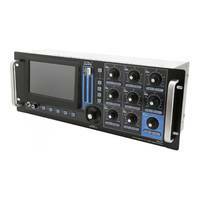 It has a headphone output for easy monitoring which is essential if you are blending multiple signals in a live situation. 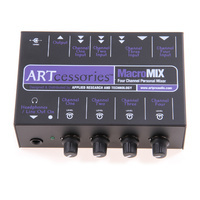 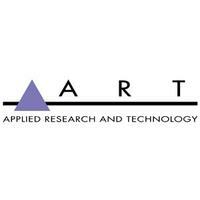 The ART MacroMix is suited to any situation where multiple audio signals need to be combined, split, mixed or separated. 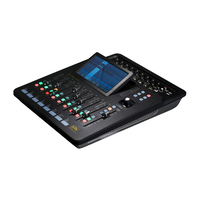 Being such a simple mix option, it is ideal for use in home theatre systems, personal audio systems, for controlling personal stage mixes, as well as audio control in meetings and conferences.